Located in the elevated part of Sapa's core area, the Go Sapa Hostel has an ideal location overlooking to the Cat Cat valley, spectacular views of The Hoang Lien Son range with Fansipan Peak cuddled in clouds and Township as well. 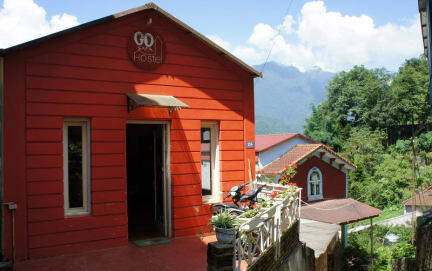 From Go Sapa hostel easy access to the town's myriad attractions and landmarks, such as Sapa Stone Church, Center Park, Love Market, .. by 5 minutes walk on foot and to the living area of ethnic minority people such as Cat Cat village, Tavan village...with 15 minutes. All rooms in Go Sapa Hostel include free WIFI, linens, Sapa Map and access to all our other facilities (free info & surf computers, common space, garden, game center, bookswap, etc.). 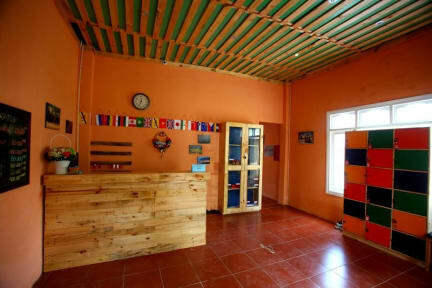 -Dorm bed with bathroom and toilet en suit, FREE wifi. Fansipang peak view balcony. -Private room with bathroom and toilet en suit, valley view, FREE WIFI, internet TV in the room, linens and towels included. I had a good staying here. Since it was the end of january it was very cold but my sleep quality was aaamazing. Lovely personal, possibility to eat inside the hostel. Hooot shower, when is so cold is absolutely a plus. Only one bad thing, they were using cheap wood for the fireplace so the fire was never really on.